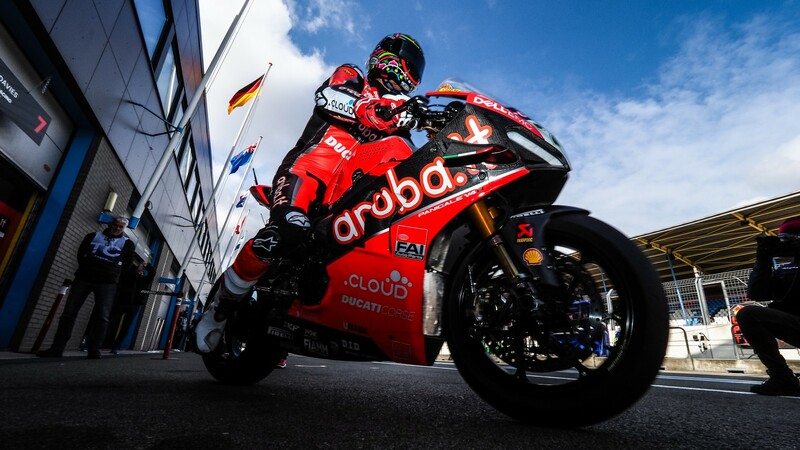 After his first podiums of the season at MotorLand Aragon, Chaz Davies (ARUBA.IT Racing – Ducati) was forced to wait until Imola for his next podium challenge, having been pushed back off the podium by the charging Pata Yamaha WorldSBK Team riders of Michael van der Mark, and Alex Lowes – the latter of which finished fourth in both races. 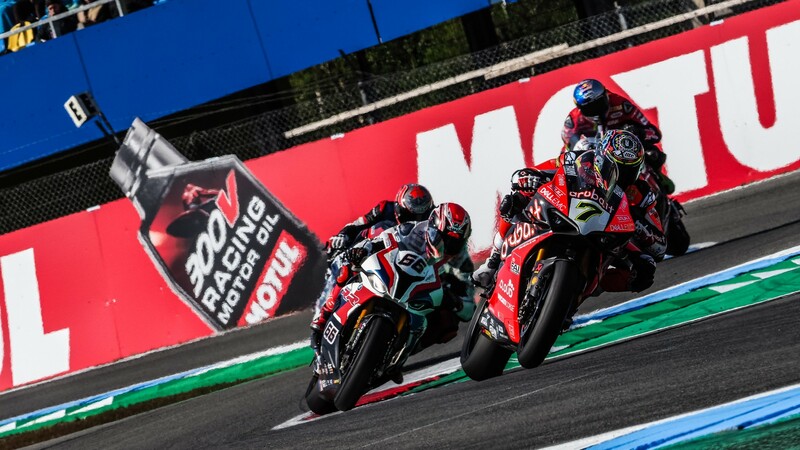 Davies made a bright start to Race 1 but was pushed out at Turn 1 by Jonathan Rea scything through the order – both riders suffering from row three Superpole grid position slots. Having battled his way to seventh in Race 1, Davies was able to run as high as second in Race 2 before finishing in fifth. Davies, who now trails his Rookie championship-leading teammate by 160 points, heads to Imola, in hope of a good result at a circuit which holds many happy memories for him. With four wins and three second place finishes at the famous Imola circuit, discounting Davies would be a silly thing to do. Will we see the Welshman fly high once more at the undulating Italian venue? 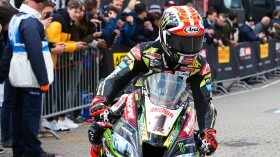 Find out what will happen at the Pirelli Italian Round with the WorldSBK VideoPass! 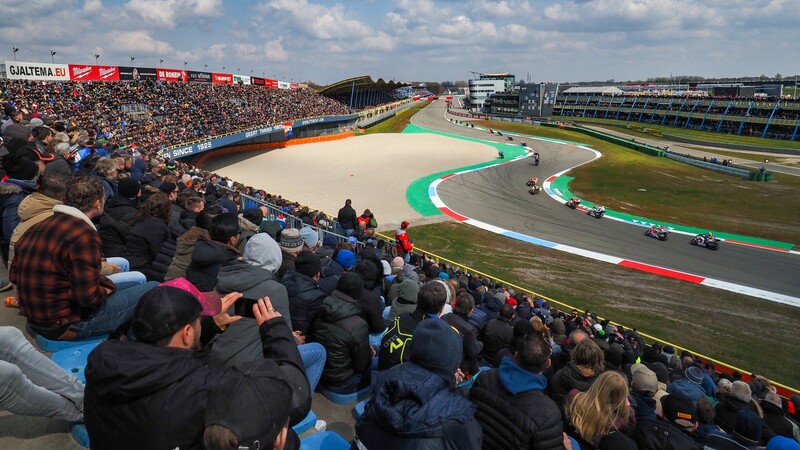 Van der Mark enjoys "incredible" Race 2 at Assen! 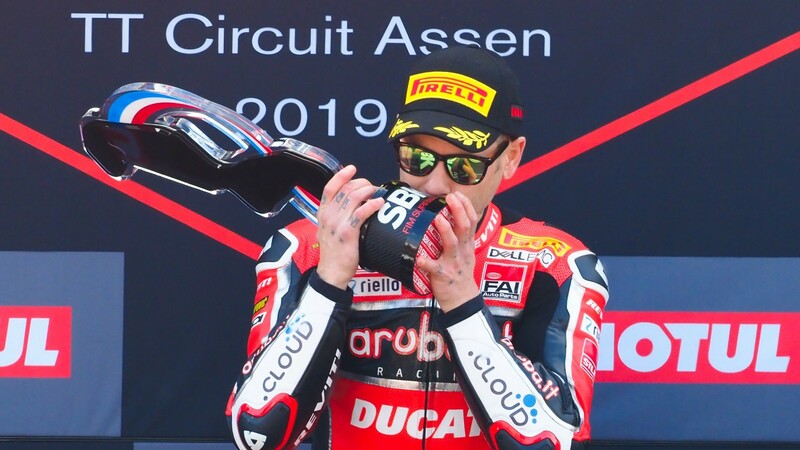 The Dutch hero returned to the Assen podium for a second consecutive year, and is back at the front in WorldSBK!